After seeing its deep canyons, misty waterfalls, and furious geysers, is it possible that anyone could improve on the natural beauty of Yellowstone? In addition to creating the iconic Old Faithful Inn in the rustic style that came to be known as “parkitecture,” he also made his mark on the Lake Yellowstone Hotel, which celebrated its 125th anniversary in 2016. During his career, Reamer, known for his ability to design in a variety of styles, demonstrated his talent in projects such as Seattle’s 5th Avenue Theatre and Hotel Deca, Olympic National Forest’s Lake Quinault Lodge, and the Fox Theater in Spokane. When it came to his 1903 redesign of the circa-1891 Lake Yellowstone Hotel, the resort’s genteel appearance, Colonial Revival style, and towering colonnades was no accident. At the time, seaside and lakeside resorts in the Berkshires of Massachusetts, the Poconos of Pennsylvania, Maine’s Bar Harbor, and New York’s Long Island were attractive destinations. 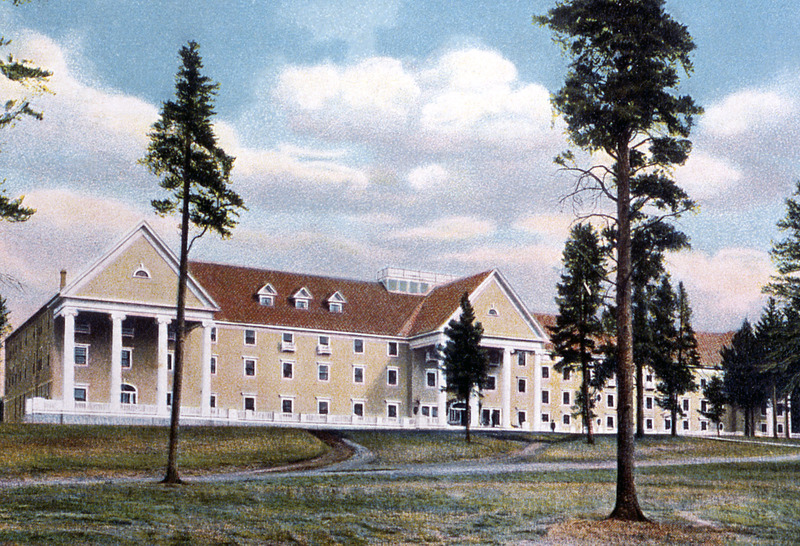 Harry W. Child, president of the Yellowstone Park Company, envisioned Reamer expanding the lodge into a large summer resort reminiscent of the grand hotels of the Northeast – perhaps one that offered a golf course, tennis court, and swimming pool (though those amenities never came about). Ultimately, the most important feature Reamer worked into his design was a single element: peace. When you realize the hotel is also a sanctuary, it’s wise to adjust your pace to fully appreciate the serenity and romance of your surroundings. From a treasured childhood souvenir to a luxurious new car, it’s human nature to attach a personality to inanimate objects. The Lake Yellowstone Hotel is no exception. To be fair, the dowager recently received a two-year, $28 million facelift in which the 153 guest rooms, public spaces, dining room, and much of the interior were renovated. 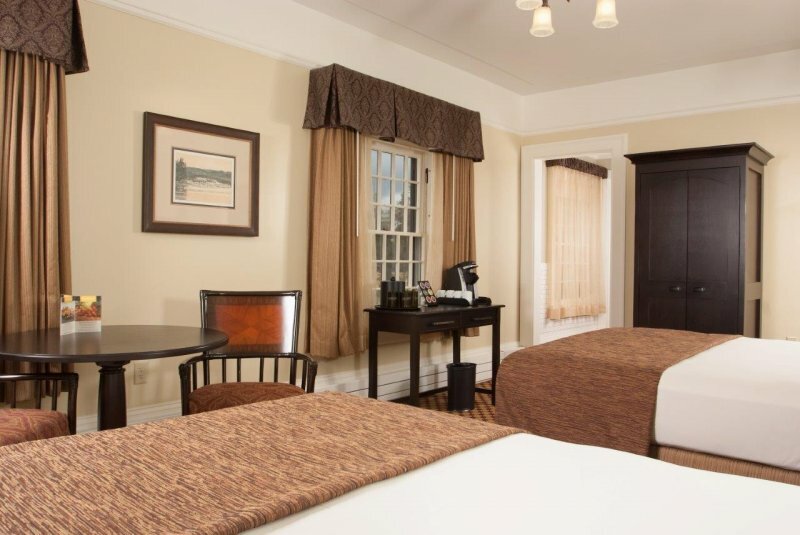 Room choices range from standard one- and two-double bed units in the adjacent 37-room Sandpiper Lodge, to the Lake Hotel’s Superior and Premium rooms with one king or two queen beds that along with the Suites and the Presidential Suite vary slightly in size (from one to three rooms). While there is wired Internet service in the rooms (for a fee), no room in this seasonal hotel has a radio, television, or air conditioning. 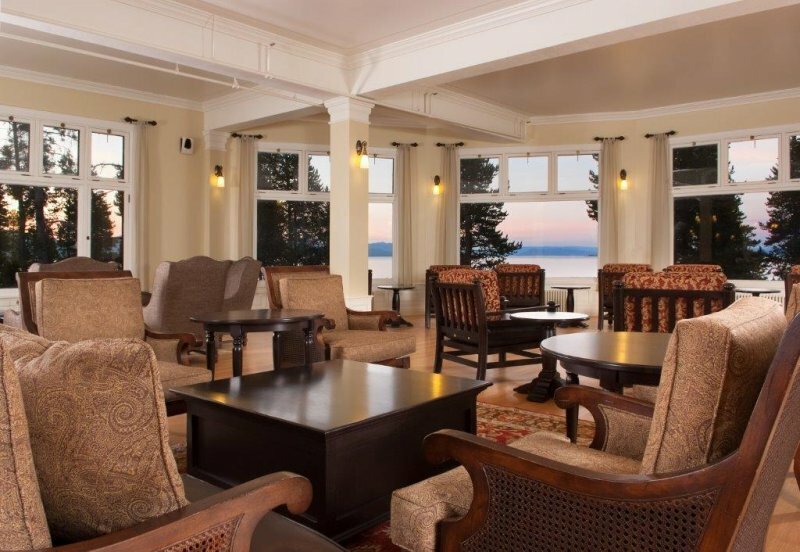 An upscale experience, meals in the Lake Hotel Dining Room include bison tenderloin, Montana natural lamb, and wild Alaska salmon. While it may be hard to pull yourself away from the Grand Old Lady, knowing she’ll be waiting for you when you return makes it worthwhile investing time to explore your surroundings. Guests can also sign up for bus tours, rent rowboats and small outboards, embark on a chartered fishing trip, and motor out to Stevenson Island to see the wreck of the E.C. Waters, the largest vessel to ever ply the lake. Not only does it hold a place in history, it has welcomed a fair share of historic figures. Joining guests who return year after year (and would move in permanently if the summers-only resort were open year-round) have been Presidents Coolidge and Carter, Bill Gates, Warren Buffett, Ted Turner, and members of the Rockefeller family who were in the neighborhood while helping create nearby Grand Teton National Park. When you follow in their footsteps, take the advice of those who know this hotel best. Take a seat in the Reamer Lounge, put down your phone, and pick up a glass of wine. As daylight leaves Yellowstone Lake, make a silent toast to the beauty of nature. And to the history and heritage of the Lake Yellowstone Hotel.